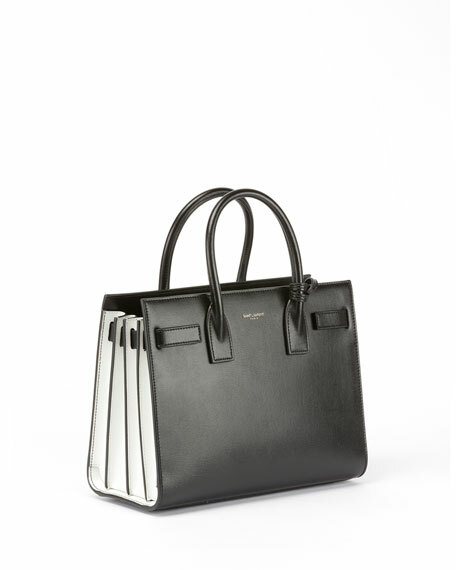 Saint Laurent tote bag in bicolor calf leather. Rolled top handles; 3.7" drop. 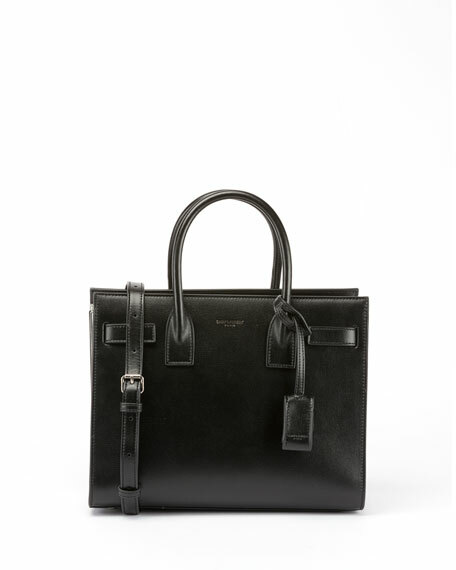 Removable shoulder strap; 18.9" drop. Belted top; logo at top center. Inside: cotton lining and zip pouch. 10"H x 12.6"W x 6.5"D.